One of the most meaningful academic experiences I have undergone in the past year was my completion of my History of Art compositional seminar thesis. This paper – the culmination of a semester’s worth of research, editing, advising, and sleepless nights – is an exploration of the Indian artist M.F. 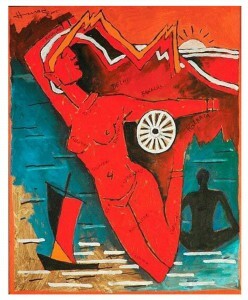 Husain’s controversial 2006 painting Bharat Mata, or Mother India. This paper not only allowed me to explore in-depth contemporary Indian art (a genre underrepresented in both American classrooms and museums) but provided me with the opportunity to connect my 2015 travels in Northern India with my History of Art major. 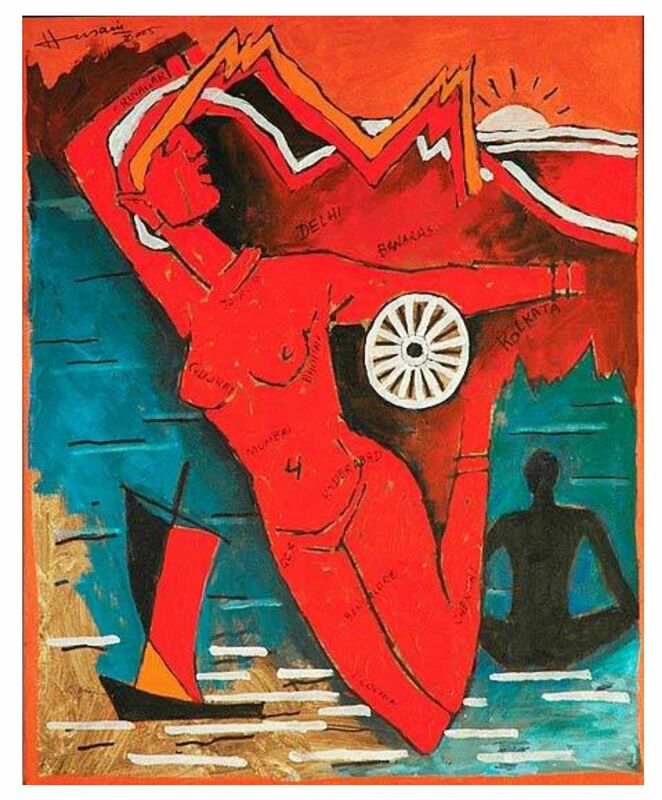 In writing my paper, I was able to connect Husain’s work with the Bharat Mata Mandir we explored while abroad, establishing the painting as a call for nationalistic unification, not a divisive and derogatory representation of a Hindu goddess by a Muslim artist. This essay forced me out of my research comfort zone, encouraging me to explore resources far beyond the scope I would exploit for a normal Ohio State assignment, and additionally necessitated the utilization of translators. It additionally awoke in me a deep passion for Husain’s art, which connected my affection for Indian visual culture I accumulated while traveling abroad with my adoration of contemporary art. Due to this paper, I believe I have landed upon the topic I wish to further explore in drafting my senior thesis. I additionally believe that I will pursue contemporary Indian art as my graduate focus – a path which would tie my interest in global culture into my love of art history. Posted by johnson.6323 at 8:01pm Posted in Artifacts. Bookmark the permalink.